We had the perfect wedding we both dreamed of and we were both "present" the entire day and didn't feel like we missed a thing. Surrounding yourself with vendors and people you trust made all the difference in the world because I didn't worry about a thing the entire day. Jason was fantastic and the quality surpassed all those I reseached. You are truly a star in your own movie. It is not your standard wedding video. He captured those adorable little things that you didn't get to see and you feel like you were a guest at your own wedding. If you want a totally unique and fun band, Professor John. 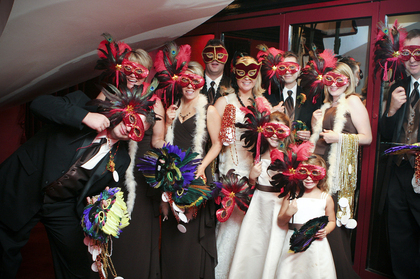 We had a French Quarter/Mardi Gras themed reception and the guests are still talking about it a year later. Great fun music. No one would sit down the entire night. Carl was introduced to me by my friend, an event planner here in Chicago. He was a blast to work with and amazingly creative incorporating unique out-of-the-ordinary elements into the flowers. Everyone raved how spectacular they looked. 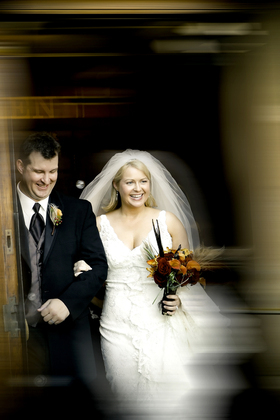 I am an amateur photographer so I was exceptionally critical when it came to selecting a photographer for our wedding. I researched hundreds from the Chicago area and by far Dan stood out the most. When I first talked with him he was scheduled to be at another wedding in NJ the day after so I was very disappointed to not be able to have him because no one else measured up to his creative and rich photos. After another conversation with him we were able to work out a solution for him to make both events. I couldn't be more thrilled. He takes a photojournalist approach and captures those unexpected shots that most wouldn't see. The raw shots were fantastic but what he does with the photos afterwards is nothing short of amazing. He gets an A+ in post-production work. He makes photos pieces of art. We were also able to do an engagement shoot on location with him here in Chicago and what fun and truly unique photos. By far one of the best up-and-coming photographers in the city. 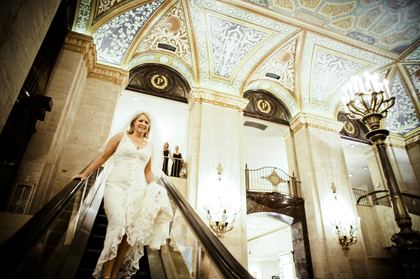 We searched throughout Chicago to find an intimate yet unique venue that would be memorable for us and our guests for the reception. Maxim's was a perfect choice for the reception. Rich reds, velvet, old school lounge atmosphere made for an intimate gathering and the space was perfect for dinner and dancing. Gorgeous bar area. It was like having your own private club and you didn't compete for space in a hotel or banquet hall. 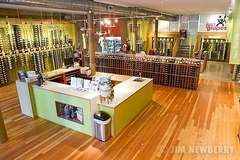 Also very reasonable pricing for a downtown Chicago location in the heart of the Gold Coast. Very convenient location as well near the Omni Ambassador Hotel. Alan was a joy to work with. We booked a trolley to take the wedding party and guests from the hotel to the church and from the church to reception as well as picking the wedding party up downtown after photos. It couldn't have worked any better. Great service and very accommodating especially with several stops but 100% right on time which is critical to us brides! As with our entire wedding we looked for unique venues in order to create a truly unique experience for our wedding. Why not have a rehearsal dinner at D&B! 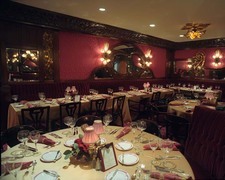 We had a private room with buffet and we were able to decorate and even have a video screen to show a slide show. It was the fun low-key type of event we were looking for. Fun and games! Kristen and her staff couldn't have been more accommodating and a joy to work with. Could not have chosen a better church. 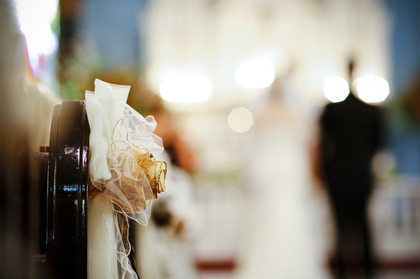 The chance to have not only a charming wedding but one of cultural interest. We had a Norwegian pastor who performed his first ceremony in the states. 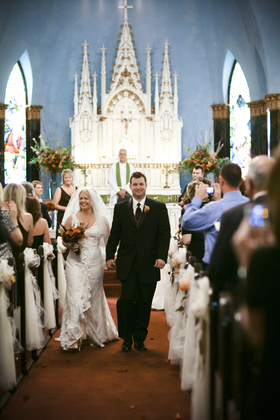 Charming old-fashioned church with beautiful rich decor. 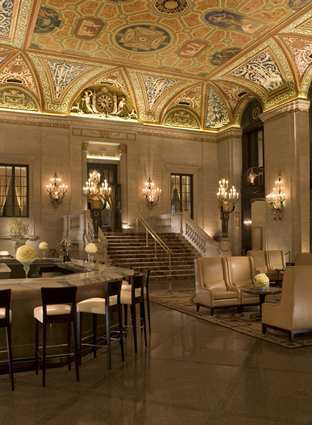 Palmer House is a Chicago icon. Our stay was exceptional and the staff extremely accommodating especially for the wedding party and early check-ins. The staff was great to work with and it was a unique and fun venue for a more casual gathering.